Truck Camper Magazine reviews a 2017 Lance 975, a 10’4” hard side, full-wall slide-out, dry bath truck camper for one-ton dually trucks. How does the 975 stack up in this highly competitive niche? Let’s find out. 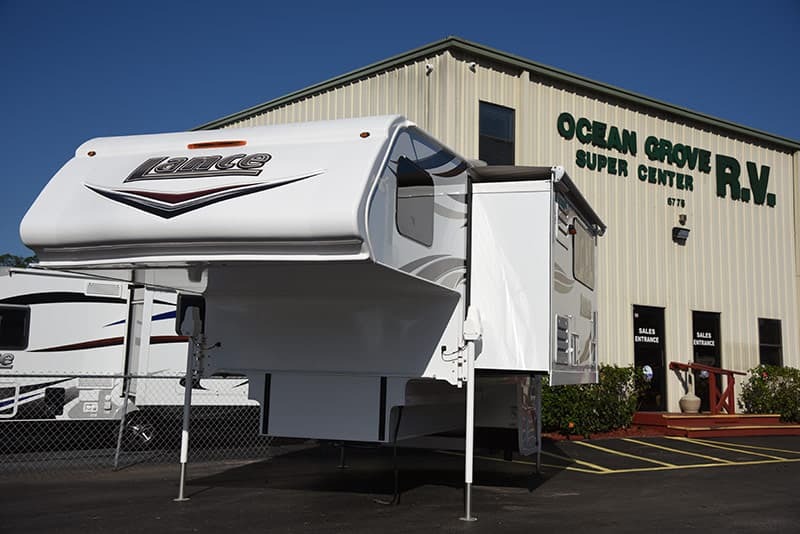 Lance Campers debuted the Lance 975 in Truck Camper Magazine on March 30th, 2015. 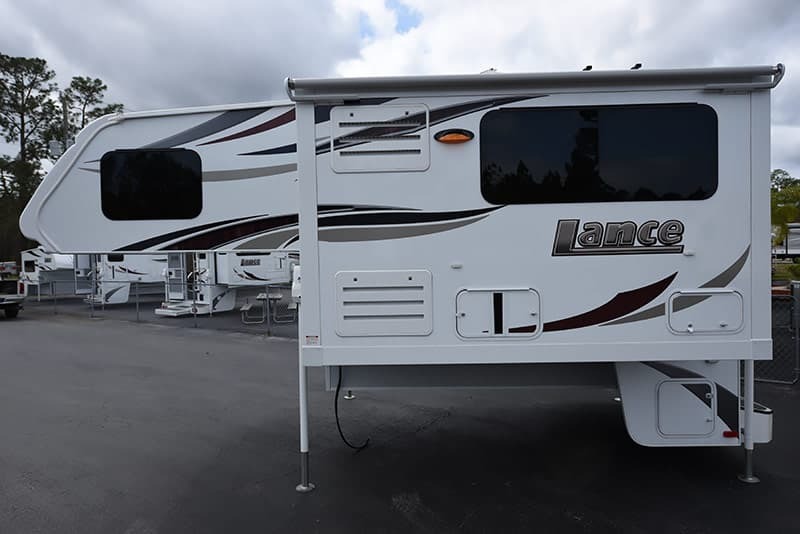 For the debut article, Gary Conley, National Sales Manager for Lance Campers, stated that the 975 was designed to take on competitors with similar floor plans, but at a much lower weight. As the debut interview unfolded, Lance’s thinking behind the 975 became more clear. 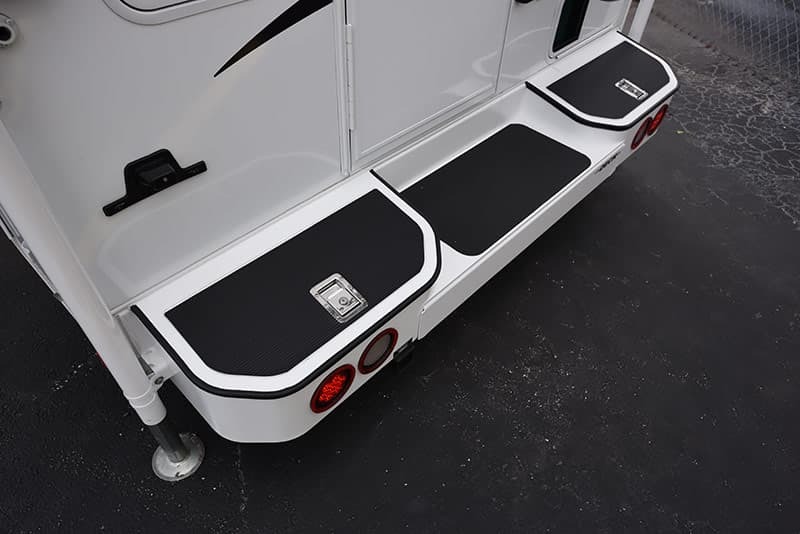 In a nutshell, Lance was targeting a very competitive truck camper segment and bringing their full SolidWorks design, CNC construction, lightweight material technology, and 50+ years of truck camper manufacturing experience to the marketplace battlefield. In doing so, Lance incorporated some of their greatest hits for the 975. For example, Lance utilized the exact same dry bath found in their flagship 1172 double-slide, and essentially the same full-wall slide-out room design of 1172. The 975 kitchen design came straight out of the Lance 855-S, Lance’s flagship short bed truck camper. 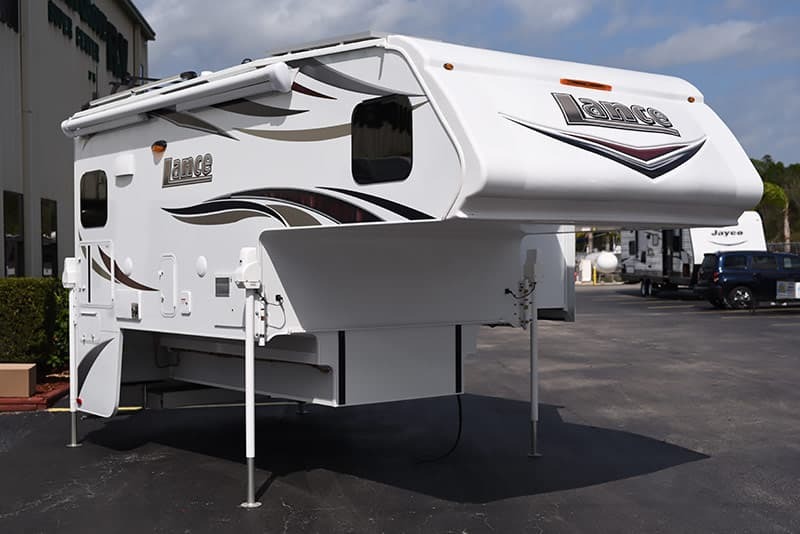 Putting the dry bath mid-ship allowed Lance to employ another flagship design detail, an insulated rear skirt service center compartment with low water drains, battery disconnect, dump valves, and exterior shower. “Forward bath designs, like the 1172 and 975, make service compartments possible,” explained Gary. Beyond the chart toppers, Lance added a number of clever details to the 975. 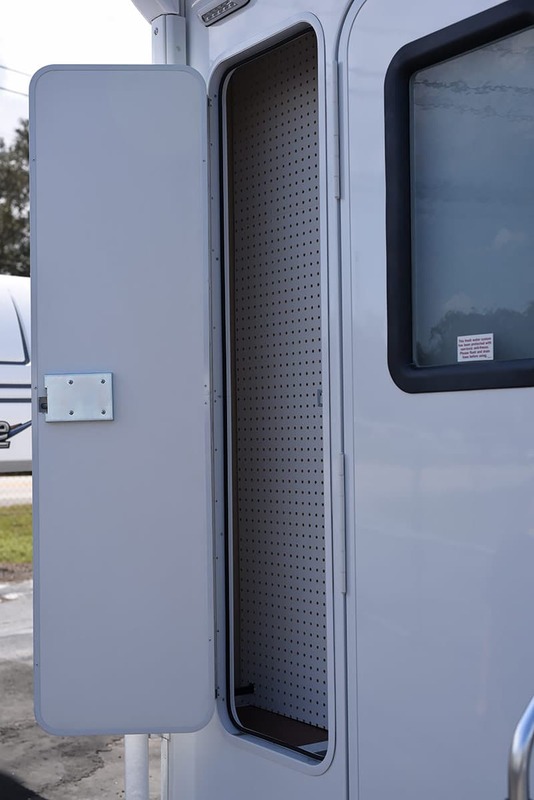 Stand outs include the Lance Locker exterior storage area, a rear window in the slide-out, and the hide-a-way trash can in the entry door area. 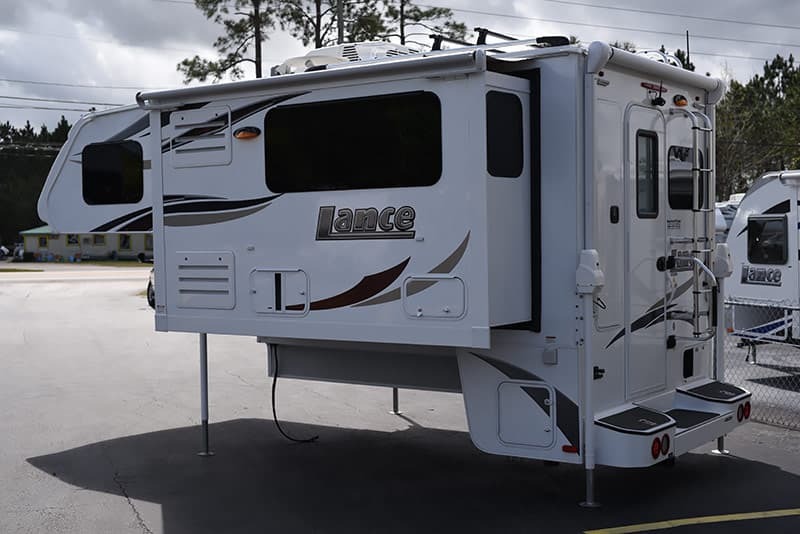 Other Lance details abound including a one-piece TPO front nose, 80-inch tall entry door, and a heated exterior winterization compartment. After two years of steady production and sales, it’s clear that the 975 is no one-hit wonder, but how does it stand up to serious scrutiny in 2017?